Do you know Gen Qamar Bajwa on Forbes Ranking Most Powerful Man in the World 2018. 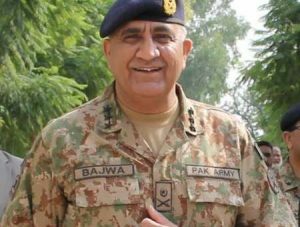 The army chief General Qamar Bajwa has put on the rank of 68th in the list of most powerful person in the world. However, this list has added with 75 personalities. Chinese President Xi Jinping has been on the top spot for being the world’s most powerful person for 2018. In this list, Russian President Vladimir Putin and US President Donald Trump ranked second and third as respectively. Therefore, according to Forbes, Qamar Bajwa has given this status as for the reason of being on the heavy duty of bringing safe and sound atmosphere in Pakistan. Moreover, he has on the hand’s duty to maintain peace in Pakistan. He is now playing an important role in managing a complex relationship with India. He has established himself to be the mediator and proponent of democracy. Hence, In this list, Indian Prime Minister Narendra Modi has been ranked 9th on the list. Do you want to know who ewill be the caretaker Prime Minister of Pakistan 2018?